Participatory GIS is a growing field. 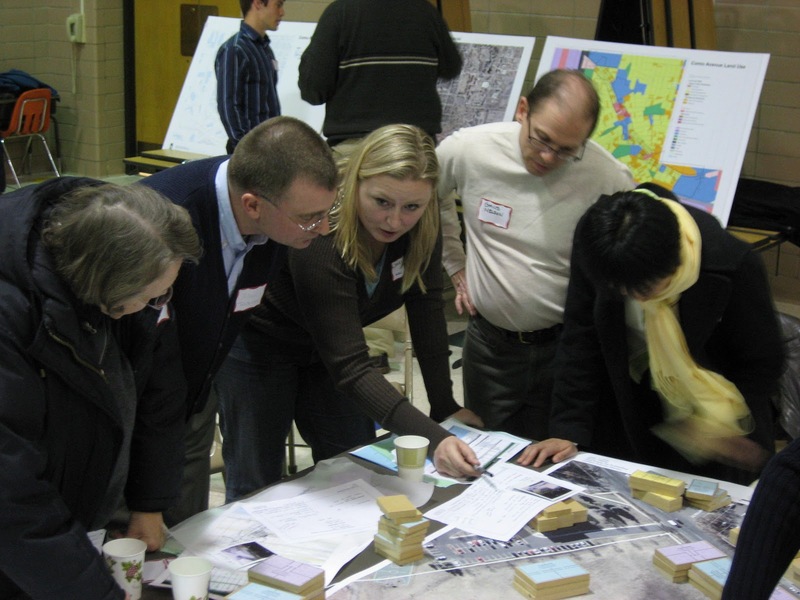 For those interested in integrating participatory GIS into healthy planning, several web sites provide helpful illustrations of the potential. Public Participatory GIS based in a company called Vertices in New Brunswick, New Jersey, (http://www.ppgis.info/) provides illustrative maps on topics from bike crashes to a calculator for calories burned walking different routes. Not all maps are local, for example the public health maps rangr from alcohol sales places in New Orleans to food sales in Philadelphia. 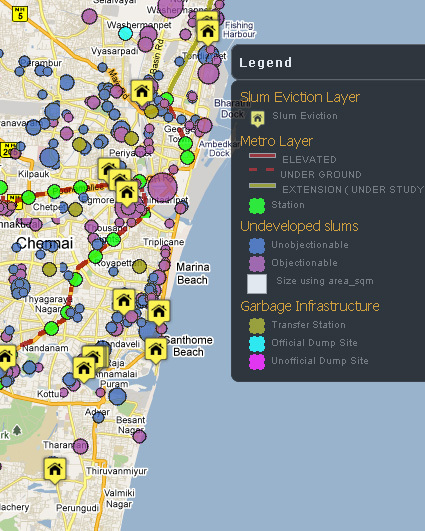 Transparent Chennai (http://www.transparentchennai.com/), at the Institute for Financial Management and Research, uses GIS but with a focus on topics such as squatter settlements, environmental hazards, and other aspects of quality of life. What is particularly handy about this site is one can build a map from different kinds of information including environmental, political, infrastructural, and social issues: http://www.transparentchennai.com/buildamap/. This site really shows the potential for a fairly integrated yet still user driven experience that could be particularly helpful for those interested in working with communities on issues of health and place. Map Kibera (http://mapkibera.org/) started in 2009 by several NGOs in a large squatter settlement in Nairobi Kenya, reportedly was an inspiration for Transparent Chennai. The site has a lot of information apart from maps, showing how different kinds of information—spreadsheets, a blog, twitter, a wiki, and so on—can be linked. For a more technical, expert-led approach to using GIS see the DFH Threhold Analysis HIA and research oriented NEAT-GIS and LEAN-GIS protocols. These can however be used in a participatory setting. The Arden Hills Rapid HIA used similar maps as background information, for example (see report appendices). My thanks to Azhar Tyabji, at the Institute for Financial Management and Research, for leading me to his colleague Nithya V. Raman (and her team’s) work on Transparent Chennai. Expert-driven tools can be very helpful for assessing community health. However, in all but the smallest assessments, it’s important to combine such expert methods with more participatory approaches. Local people know their own communities and that local knowledge can be very helpful. They may also have fears that need to be investigated—some may be appropriate and some may not but in either case it is important to know about them. A process planner that quizzes the user on everything from money and time available to political support and shoots out a set of participation options–click on methods then planning. Using this planner is a way of getting out of the rut of doing the same old thing. It can also just give you a place to start that is relevant to your situation. If you want to see all the methods they are also listed alphabetically. The Design for Health project has a short information sheet on how to use participatory methods to integrate health into the planning process: http://www.designforhealth.net/resources/participation.html. I have reviewed some other participation tools on my Planetizen blog at: http://www.planetizen.com/node/46672.